Hellmann's Makes Ketchup History by Introducing New Hellmann's REAL Ketchup in the U.S. 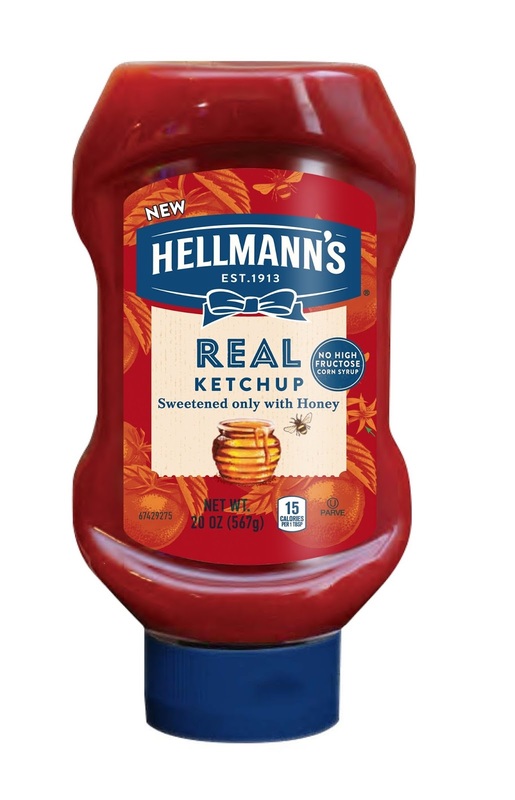 In celebration of National Tomato Day, Hellmann's is making ketchup history by launching its first ketchup ever available to retailers nationwide, Hellmann's REAL Ketchup Sweetened only with Honey. Hellmann's, America's favorite* mayonnaise brand, believes that real, simple ingredients are all you need to make delicious food, which is why Hellmann's is thrilled to offer its new ketchup made with only six ingredients. Hellmann's has reimagined the way ketchup is made by asking what should be in ketchup, and what should not. The result is unsurprisingly simple, a recipe that calls for only six ingredients – tomato puree, honey instead of high fructose corn syrup, white wine vinegar, spices, onion powder and salt. New Hellmann's REAL Ketchup has no artificial ingredients or preservatives and uses non-GMO sourced ingredients. The result is a rich and flavorful ketchup, that doesn't compromise on taste. "Over time, food has continued to evolve and it's time for ketchup to evolve too," Russel Lilly, Marketing Director of Hellmann's, said. "We saw this as an opportunity to elevate an American staple by stripping it down to only the most essential ingredients. We're giving people a choice when it comes to feeding themselves and their families with a brand they know and trust." To celebrate National Tomato Day, Hellmann's is teaming-up with Pommes Frites, a New York City authentic Belgian fry shop, to offer fans a first taste of the new Hellmann's Ketchup. April 6, from 12 p.m. – 3 p.m., Pommes Frites will give away free orders of frites paired with Hellmann's REAL Ketchup Sweetened only with Honey while supplies last. Enjoy free frites on Hellmann's today. 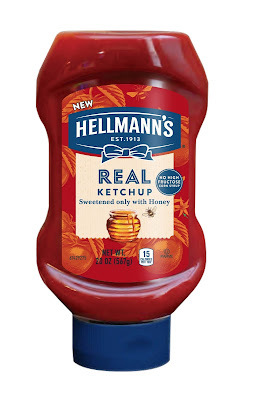 Hellmann's REAL Ketchup Sweetened only with Honey will be available at retailers nationwide in the condiment aisle. It's available in 14 oz., 20 oz. and 32 oz. bottles; and it will be at retail west of the Rocky Mountains as Best Foods. For more information, recipes and tips, visit Hellmanns.com or BestFoods.com. Unilever is one of the world's leading suppliers of Personal Care, Food & Refreshment and Home Care products with sales in over 190 countries and reaching 2.5 billion consumers a day. In the United States, the portfolio includes brand icons such as Axe, Ben & Jerry's, Breyers, Caress, Country Crock, Degree, Dollar Shave Club, Dove, Good Humor, Hellmann's, I Can't Believe It's Not Butter!, Klondike, Knorr, Lever 2000, Lipton, Love Beauty and Planet, Magnum, Nexxus, Noxzema, Pond's, Popsicle, Promise, Pure Leaf, Q-tips, Schmidt's Naturals, Seventh Generation, Simple, Sir Kensington's, St. Ives, Suave, Sundial Brands, Talenti Gelato & Sorbetto, TAZO, TIGI, TONI&GUY, TRESemmé and Vaseline. All of the preceding brand names are trademarks or registered trademarks of the Unilever Group of Companies. Unilever employs approximately 8,000 people in the United States – generating more than $9 billionin sales in 2017.